For over a decade, Archana Projects has benefited from energetic, principled, and creative leaders at its helm. These qualities live on today. Archana Project’s team brings a diverse set of skills and experience, ensuring a well-rounded perspective on company operations. Although from varied backgrounds, our leaders share a common vision and values; they possess a passion for building, a devotion to our clients, a dogged dedication to ensuring the company's — and our people's — continued growth and prosperity, and an enthusiasm for strengthening our city. The two backbone of the firm are Dr Aravind Nayak Ammunje and Mr Amit Aravind. He is a descendent of the reputed Ammunje family, consisting of more than 5000 people, known for their honesty, enthusiasm, time managing principle since last century. 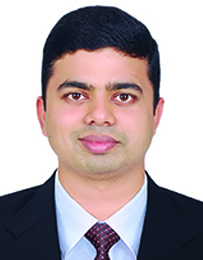 He is one of the famous family physicians of Udupi. Dr.Aravind, son of PadmanabhaNayak, the former municipal president, was also a municipal corporator in 1984. A social activist, writer and a noble professional, he served under the Ministry Of Health of Saudi Arabia , for 7 years, as a super specialist during Iraq and Kuwait war. With lots of positive thoughts and enthusiasm, he has started the building activity so as to serve the society in a better way. Old age homes and palliative treatment centers are some of his visions for Udupi city. He is supported by all his three children who are Engineers with MBA qualification from Top 5 business schools. 17999/1978- Life Member Karnataka Medical Council, India. Journalism And Mass Communication in December 05. Started General Practice in 1979 and serving as family physician till date. Honorary Radiologist to Government district hospital and charitable institutes. Indian Medical council of India : Central council member & crisis. As radiologist in National Clinic, Hafr Al Batin Tele 03 7222607 from November 1989 to June 1995. Dr Aravind Nayak Ammunje is Supported and partnered by his Third Son Mr.AmitAravind. He is graduate in Civil Engineering and A post graduate in Masters in Construction Engineering and Management. He has secured a gold medal for securing an CGPA of 9.98 out of 10 from the prestigious Manipal University of Manipal. He also has served as a research scholar in Heriot Watt University, Edinburgh, Scotland. He also has served as a Junior Research Fellow in the field of Self Compacting Concrete under the project funded by Department of Civil Engineering and BRNS, Mumbai. He also had served as an Assistant professor in Department of Civil Engineering, Manipal Institute of Technology Manipal. He currently runs his family construction firm “Archana Projects”, which is into Real Estate Builder/ Developers. It is 14 years old and ISO Certified Firm and has provided Dream Houses to more than 300 families. They have constructed various reputed buildings like ‘Archana Meadows’, ‘Little Archana, ‘Pretty Archana’, Archana Classic’ etc. He is also an active civil engineering consultant and consulted various prestigious projects like Ranghabhoomi, IMA Bhavan Udupi, SrimadSundheendraTheertha Sabha Grahaetc to name a few. 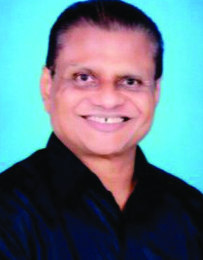 He is also life member of Association of Civil Engineers and Architects in Udupi. He was an executive member of ACCEA for the year 2015- 2017. He is also Secretary of ACCEA Udupi Chapter. He is also currently Joint Secretaty of CREDAI Udupi. He is also active in Social activities and is a Member of Archana Charitable Trust, Udupi. He was Treasurer of Rotary Club Udupi-Manipal in 2016-17. He was Secretary of Rotary Club Udupi-Manipal in 2017-18. He is President of Rotary Club Udupi-Manipal for the year 2018.